The fabulous Museum of Everything is active in London again with two Frieze Week offerings. James Brett, one of the most energetic curators in the universe is collaborating with Jarvis Cocker, the Brit-Pop musician (who immortalised Central Saint Martins in his song Common People) in unveiling their latest enterprise, The Gallery of Everything, an offshoot of the highly regarded Museum of Everything. 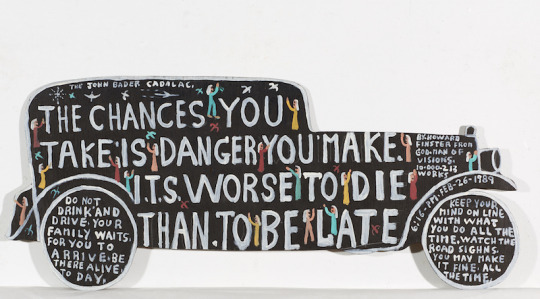 This will be a commercial gallery selling works by some of the most intriguing self-trained and Outsider artists. Its aim is to “communicate an alternative history of art”. The gallery which is housed in a former barber shop in Marylebone and will open on 25 September. All money raised will go towards the non-profit activities of the Museum of Everything. “As The Museum of Everything continues its mission around the globe, The Gallery of Everything will be its home for collectors and museums, secret makers and doers, and for private art made public,” Brett says. The new Marylebone HQ serves as a permanent space for The Gallery of Everything‘s various projects, exhibitions, collaborations and happenings – and a central London venue where visitors can explore archive material and discover more about The Museum of Everything, its mission and its roster of artists. 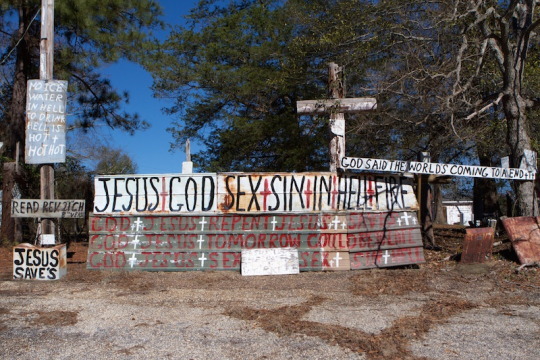 “A decade ago I’d seen something in these places. Now it was time to find out exactly what that something was”, says Musician Jarvis Cocker. This inaugural exhibition takes its name from the seminal TV series, JOURNEYS INTO THE OUTSIDE by filmmaker Martin Wallace and broadcaster and Mr. Cocker. Together these art pioneers invited British viewers to explore the world’s most astonishing environments and to discovers outsider artists (as they were then called) like Chomo, St EOM, Howard Finster and Nek Chand Saini. An installation inside The Gallery of Everything recalls this historic journey and features rarely-seen artworks by several authors featured in the film including Indian landscape architect Nek Chand Saini (1924-2015); reclusive French autodidact Chomo (1907-1999); self-appointed visionary St EOM (1908-1986); retired priest and hermit Abbé Fouré (1839–1910); carver and carpenter Karl Friedrich Junker (1850-1912); self-ordained minister and house-painter WC Rice (1930-2004) and American preacher Howard Finster (1916-2001), whose divinely inspired artwork was made famous by Talking Heads. These are complemented by original photographs of the environments and their makers, together with regu- lar screenings of the documentary. 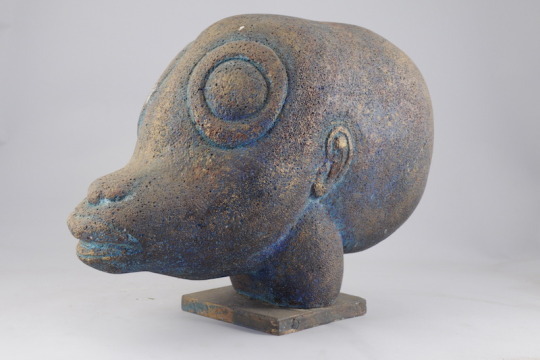 Events include a series of discussions with Cocker, along with a short on the late Nek Chand Saini – made by The Museum of Everything for THE ALTERNATIVE GUIDE TO THE UNIVERSE at Hayward Gallery. All proceeds from sales support the non-profit activities of The Museum of Everything. 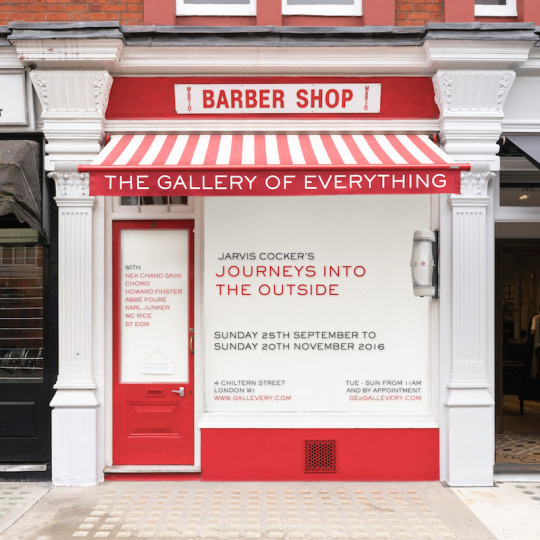 As The Museum of Everything continues its mission around the globe, The Gallery of Everything will be its home for collectors and museums, secret makers and doers, and for private art made public, says James Brett, founder of The Museum of Everything. 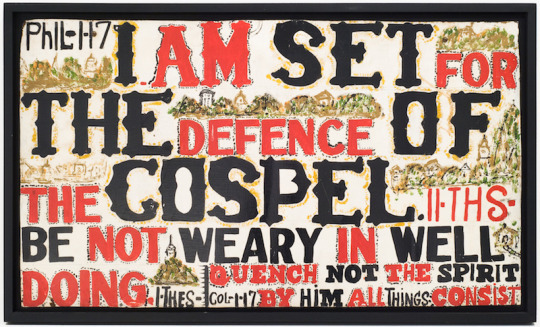 The Gallery of Everything is also presenting LE FOYER DE L’ART BRUT in Sir Norman Rosenthal’s Collections at Frieze Masters 2016. This historic interpretation of Jean Dubuffet’s first 1947 Parisian salon will exhibit rarely- seen material by the anti-cultural art-makers who inspired not only Dubuffet, but many of the most important artists and writers of his generation including Joan Miró, Hans Hartung, André Lhote, Jean Cocteau, Tristan Tzara and Victor Brauner, and of course Dubuffet’s partner in discovery, André Breton. This year The Gallery of Everything returns to Frieze Masters as part of Sir Norman Rosenthal’s Collections section of the fair. It has chosen for its subject Jean Dubuffet’s groundbreaking 1947 le Foyer de l’Art Brut – the experimental Parisian salon organised by the artist with his gallerist, René Drouin, and art critic, Michel Tapié. 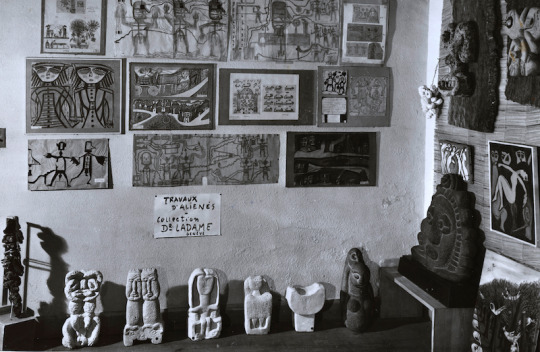 Le Foyer de l’Art Brut made public for the very first time the untrained images and image-makers who would fascinate Dubuffet for the rest of his life. For it was this series of installations which set him on a professional journey to write a new art history, populated only by the authentic, the spontaneous and the anti-cultural. Although Dubuffet found l’Art Brut in hospitals, villages and on the street, his anti-art discoveries had a significant cultural impact. Visitors to le Foyer included Joan Miró, Hans Hartung, André Lhote, Isamu Noguchi, Jean Cocteau, Tristan Tzara, Henri Michaux, Victor Brauner, André Malraux, Jean Fautrier and André Breton. The booth at Frieze Masters explores this first nine-month sojourn in the basement of Galerie René Drouin. The installation will be further contextualised with period publications, guest books from Galerie René Drouin (1947 + 1949) and Gallimard (1948), alongside contemporaneous works by Jean Dubuffet and his associates. Artists featured in le Foyer de l’Art Brut at Frieze Masters 2016 include draughtsman Gaston Chaissac, portrait- ist Aloïse Corbaz, pointillist Fleury-Joseph Crépin, autodidact Miguel Hernández, pre-historian Juva (Prince Antonin Juritzky), satirist Pascal-Désir Maisonneuve and visionary Louis Soutter – as well as the infamous Swiss outsider Adolf Wölfli and several rare and anonymous sculptures known only as Les Barbus Müller. Many of these rare artworks are from private collections and will be offered for sale for the very first time. The Gallery of Everything would like to thank la Collection de l’Art Brut in Lausanne for their assistance with this historic project. Director Sarah Lombardi and former director Michel Thévoz will be present for a discussion on the legacy of le Foyer de l’Art Brut and its impact on Dubuffet, his circle of artists and art history.